As seen in April, 2016 Town & Country…Once the paper of choice for discerning letter writers, statesmen, and socialites, onion skin stationery is less than half the thickness of regular computer paper and just a tad heavier than tissue. True onion skin has not been manufactured in this country for approximately 40 years. Lucky for well-healed letter writers that Mrs. Collins had the foresight to purchase and store thousands of white, water blue, canary yellow, and orange sheets and is once again creating gossamer stationery for contemporary use. Contact Nancy Sharon Collins, Stationer directly for details about creating onion skin stationery hand engraved with a couture (bespoke) monogram. 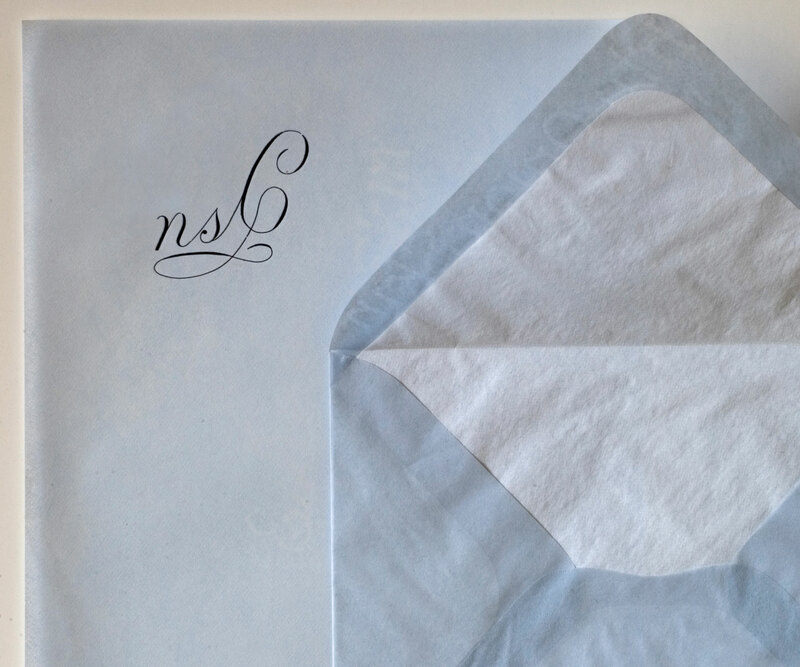 And if you’re in a hurry purchase our packet of 5 folded onion skin notes and matching, completely hand made envelopes.